Besides this, there is another great revelation which Hafiz has brought before humanity is a most beautiful form. Now, there are many people in this world who have once believed in God, in His mercy and compassion, in His love and His forgiveness, but after having suffered, after seeing catastrophes and injustices, have given up belief. Many people, after great sorrow and suffering, have given up religion. The reason is that the religion they have followed has taught them God as goodness, God as judge. Well, then they ask from a judge justice, justice to satisfy their own ideas. They think their standard of justice is God's, they look for goodness as they understand it, and therefore there comes a time of struggle in their hearts. They do not see justice, because they are looking from their own point of view. They are looking for goodness, kindness, and mercy from their own point of view, and there are many conditions which make them think there is no justice, that there is no such thing as a forgiving element. But the way of Hafiz is different. There is hardly the Name of God to be found in the Diwan. He does not give that belief of God the Just and Good. His God is his Beloved, to Whom he has surrendered in perfect love and devotion, and everything coming from the Beloved is taken by him with love and devotion as the reward. He prefers poison coming from the hand of the Beloved to nectar from another. He prefers death to life, if it is the wish of the Beloved. But you may say, 'Is it fair?' There is no question of fairness where there is love. Love stands above law. Law is beneath love. Law is born of love. The mistake in this day is that we keep law higher than love. We do not see that the divine principle, which is love, stands above law. Man makes God a judge who is bound by law, Who cannot do His will, but has to do according to what is written in His book. God is not justice. Justice is His nature, but love is predominant. People give such importance to one's actions and their results. She is ready to understand, she is ready to forgive. So we see mercy and compassion going out as love, a stream of love which can purify all the evil actions of years. Then, if a human being can actually forgive, can God not forgive? Many of the dogmatic religions have taken away the love element which is predominant, which makes God Sovereign. And they make a God who is limited, who is bound by the book, and Who cannot show His compassion. If God were so limited He could not be just. An individual would be better, because an individual can forgive. Hafiz gives a picture of human nature: hate, jealousy, love, kindness, vanity; the play of friendly impulse, the play of pride; all aspects of life. Hafiz is not a poet, he is a painter. He has made a picture of the different aspects of life. Every verse is a picture. And in every picture, whatever be its color – vanity, pride, or conceit, love, mercy, or compassion, in all its garbs – he sees only one spirit, the spirit of the Beloved. And he shows his devotion, appreciation, and love to all the manifestations of that one and the same Beloved. There are many religions and beliefs where it is said that there will come a day when man will be able to communicate with God. But when will that day come? Life is so short and our hearts so hungry! And if it does not come today, perhaps it will not come at all. Therefore the only thing that Hafiz has pointed out from beginning to end is this, 'Do not wait for that day to come tomorrow. Communicate with the Beloved just now, He is before you here in the form of your friend and in the form of your enemy; with a bowl of poison or with a rose. Recognize it and know it, for this is the purpose of life.' Religions have made this like a journey of millions of miles. Hafiz has made it close at hand. Man likes complexity. He does not want to take one step, it is more interesting to look forward to millions of steps. The man who is seeking the Truth gets into a puzzle, and that puzzle interests him. He wants to go through that puzzle a thousand times more. Just like children, their whole interest is in running about. They do not want to see the door and go out, until they are very tired. And so with the grown up people; they all say they are seeking Truth, but they like the puzzle. That is why the mystics made the greatest truths a mystery, to be given to the few who were ready for it, and to let the others play, because it is the time for them to play. As the love principle, according to the idea of the Sufis, and according to the idea of all the Prophets and Knowers who have ever come to this world, is the first principle, so it is the last principle. 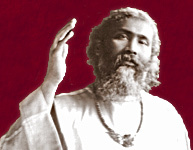 There are different Yogas practiced by the people of India which are the intellectual, scientific, philosophical and moral paths to God, but the most desirable path to God that the Hindus have ever found, and which makes the whole life beautiful, is Bhakti Yoga, the path of devotion, because it is the natural path. Man's inclination is love. If he is cold, it is because he is longing for love; if he is warm, it is because love is alive. If one is suffering from depression, is yearning or sorrowing, it is because the love principle is not alive, The only life, the very source of inspiration, salvation and liberation, is love. And those great souls who have brought the message of God to humanity from time to time – Buddha, Krishna, Jesus Christ, Moses, Abraham, Zarathushtra – they were well known as most learned men. And what they learned, they learned from the love principle, what they knew was compassion, forgiveness, sympathy, and tolerance; that attitude of appreciation; that opening of the heart to humanity. What they taught was love, a simple Truth. If religions seem complex, they have been added to. In every case what was brought by the prophet was simple, and it was expressed in his personality and his life, and it is that influence that has remained for centuries after they have passed away. It is not the literature they have left. Most of the literature is from their pupils. It is the simple truth shown in their personalities and their lives. The error of this day and age is that we cannot understand the simple Truth, the Truth as manifested everywhere – instead of trying to find Truth covered in a shell. Hafiz at the same time teaches one to see the ultimate Truth and the ultimate justice in one and the same thing, and that is God; that justice is not related to things; perfect justice is in totality. And he shows that the power behind manifestation is the love power, and it is by this power that this whole world was created. It is the love principle whether it works through God or man. And if that principle is at the back of the whole creation, then it is the same principle which helps man to fulfill the purpose of his life.